This is the definitive book about the biggest changes in education, schooling and teaching since the school classroom was invented almost 300 years ago. 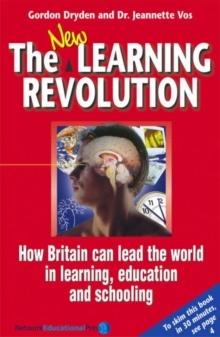 The vision and power of the original "Learning Revolution" remains, but the authors now address current developments such as: how instant information and interactive technology are finally forcing a complete rethink of everything we've ever believed about education; how new interlocking networks are creating dramatic new models for learning; and how new teaching methods are revolutionizing schooling in pockets around the world. Dryden, the award-winning television and radio talk show host, is just completing a series of television programmes on new methods of learning and Vos is putting the finishing touches to a seven-year doctoral research project into the same subject. The combined power of these two dynamic authors is highly compelling!